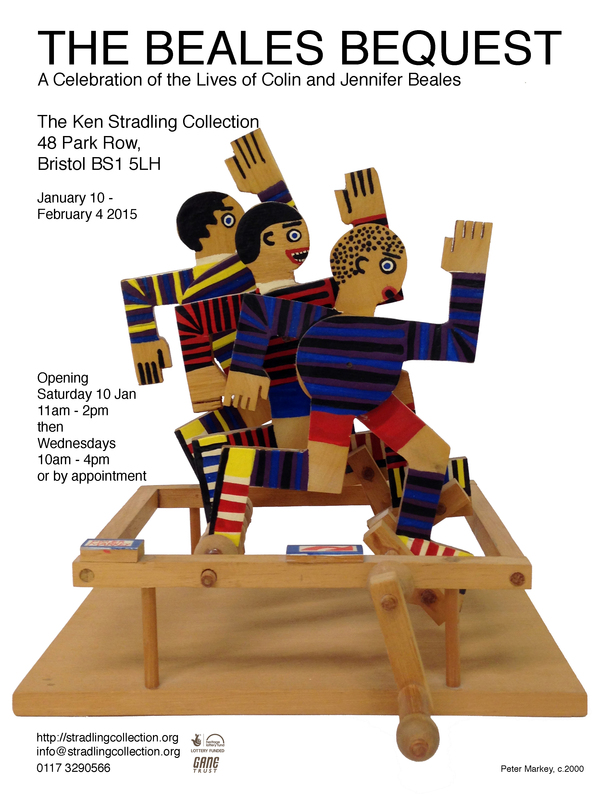 From tomorrow, Wednesday 14th January, the latest exhibition at The Ken Stradling Collection will be open to the public. I have co-curated this show, entitled The Beales Bequest, and wrote the gallery’s information texts. I also contribute to their blog, and will be writing a series of blog posts about individual objects featured in this exhibition. 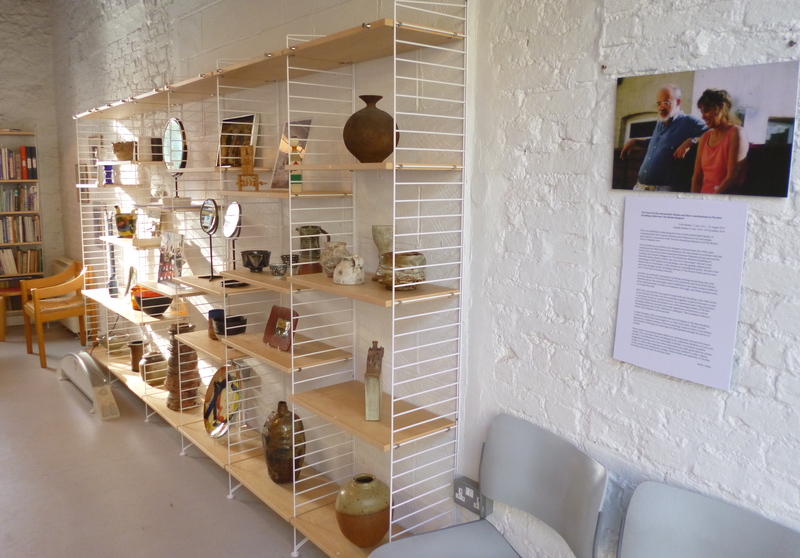 The Beales Bequest revolves around the eclectic objects that a Bristol architect and founding trustee of The Ken Stradling Collection left with his artist wife to the Collection when they died last year. Colin and Jennifer Beales were great friends with Ken Stradling. Colin often drove around Bristol with Ken, and they travelled together to parts of Europe, to view or purchase furniture, ceramics and art. He in particular had a long association with The Bristol Guild. Jennifer also made significant contributions, such as formulating the title of the Collection’s catalogue, “The Incidental Collector”, which Colin helped to write and edit. On display in the exhibition there will be a great variety of ceramics by many important British makers from the 20th and 21st centuries. Think Dan Arbeid (who The Guardian has described as “one of the pioneers of unconventional vessel-based handbuilt forms”), Mick Casson, Stig Lindberg and Herbert Krenchel. There will also be bold and often humorous pieces of glasswork and sculpture, as well photographs of Colin’s main architectural projects and some of the Beales’ own art – pottery, etchings and paintings – exhibited too. The Beales Bequest will be open to view every Wednesday 10 – 4pm and by appointment until 11th March (the exhibition has been extended beyond the original date of the 4th February).